Financial troubles can knock on your door at any point in time. During such times, loans are the best option to overcome the financial crunch. They are easy to avail and give you the freedom to use it for multiple purposes. While a personal loan could serve the purpose, a loan against property is a better alternative, especially for a higher loan amount. A loan against property is a secured loan where you keep your property as security to avail the amount. 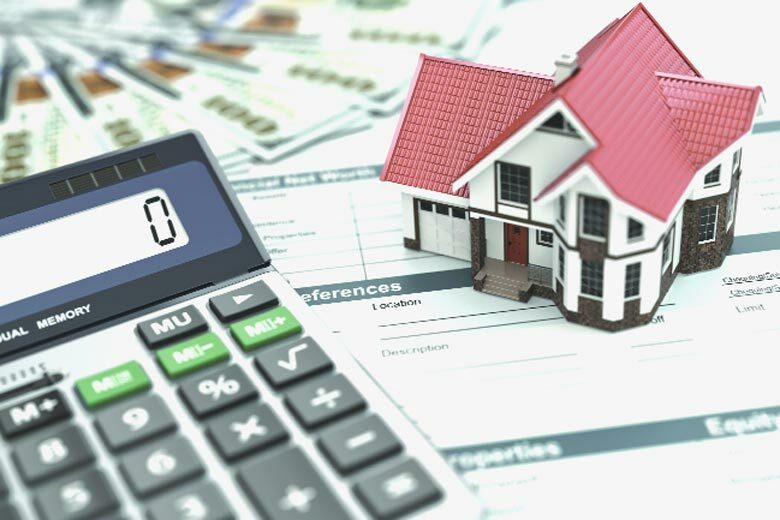 Although the process of availing a loan against property in India is quite easy, you must be aware of specific loan against property eligibility criteria to ensure the entire process is smooth and hassle-free.Here are five golden tips to help you improvise your loan against property eligibility. It is advisable to borrow an amount that you can conveniently repay. Therefore, before applying for a loan against property, you must assess your repayment capacity by considering your current level of income and any other fixed obligations including loan EMIs. If the fixed obligations to income ratio is high, lenders may hesitate to offer you a loan or provide you with a loan at a higher interest rate. Therefore, access your cash inflows and outflows and your repayment capacity before applying for a loan. Check your loan against property eligibility before applying for a loan. Eligibility criteria may vary from lender to lender and for salaried and self-employed individuals. Failure to meet these criteria can lead to rejection of your loan application. Therefore, you must assess your eligibility beforehand by using loan eligibility calculator on the lender’s website. Sometimes there could be errors in your credit report. These errors may affect your chances of getting loan approval. Therefore, you must request for your credit report and thoroughly check your credit history. If there are any errors, rectify them before applying for the loan. Moreover, you must also check your credit score before submitting your loan application. It is one of the critical criteria which lenders see before they take a decision. Your credit score depicts your creditworthiness. A higher score, ideally over 700 indicates high creditworthiness. Likewise, a lower score signifies you are less creditworthy and might default on your loan repayment. So, try to improve your credit score before applying for a loan. ●KYC documents such as address proof, identity proof, signature proof, name and date of birth proof. ●Income documents such as salary slips, Form 16 and bank statement for salaried individuals and bank statement, financial statements and income tax return for self-employed individuals. Selecting the right lender is a crucial factor while making a loan application. The choice of a lender determines your loan-processing fee, interest rate, and loan tenure and repayment terms. Therefore, compare and choose the most appropriate lender for getting a loan against property. To make the entire loan process smooth and convenient, choose a lender that offers easy prepayment options, flexible tenure, flexi loan facility and quick processing. NBFCs providing loan against property is one such option. With NBFCs, you get a higher value loan against property up to Rs. 3.5 crores at an attractive interest rate and zero processing fee. You can use the loan amount for funding your child’s education, meeting medical emergencies, expanding your business, managing wedding expenses or for fulfilling any other financial obligation. Arwind Sharma is a financial advisor with an experience of more than 7 years. He has worked for topmost financial firms in India and has been a visiting faculty at many reputed institutes in India. Currently based in Gurgaon, Arwind Sharma is a name to reckon with when it comes to financial management for big brands. A post-graduate in business economics, he is an alumni of Princeton University, USA. During his free time, Arwind teaches children from marginalised sections of society and also work on his blog.